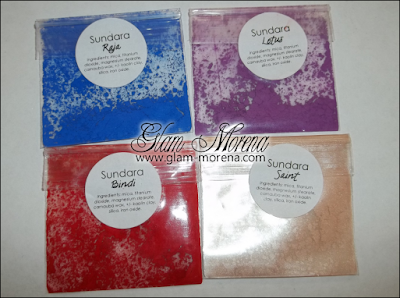 Glam Morena: Review: Sundara Cosmetics. 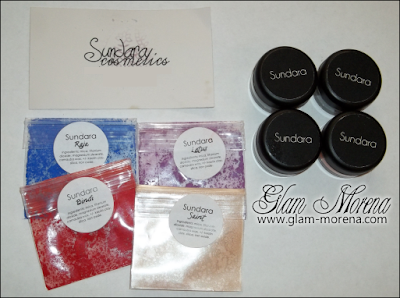 I was recently sent some things from Sundara Cosmetics. Sundara is drawn from the Sanskrit word for "beautiful." 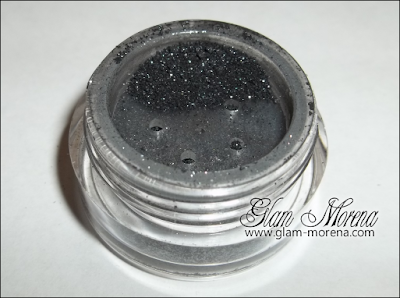 This is a mineral cosmetic line that offers chemical free eyeshadows. There is now an official website! I received four full-sized shadows and four sample sized shadows. 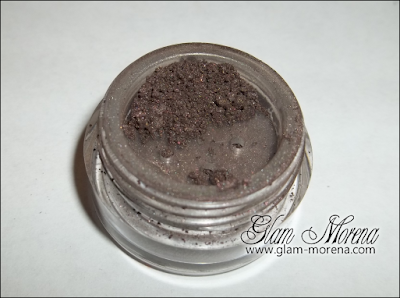 Overall Thoughts: Sundara Cosmetics is a great mineral eyeshadow. The full-sized jars retail for $5 each. The mini jars retail for $3 each. There are eyeshadows available in four cateogories: brights, pastels, neutrals, and smokey. There are matte, shimmer, and glitter finishes available. The shades I received are: Ebony is a chocolate brown with gold shimmer, Impassive is a deep taupey brown with shimmer, Coal & Diamonds is a black with silver shimmer, Saffron is a matte orange, Raja is a matte royal blue, Lotus is a matte purple, Bindi is a matte bright red, and Saint is a creamy beige. Each eyeshadow has amazing pigmentation. I didn't use an eyeshadow primer for the swatches. The swatches were done with one swipe from the jar. Even the mattes show up great without having to layering them on. Of course applying an eyeshadow primer helps make your eyeshadows last longer. I used a Lotus in a recent look, which you can click here to view. The eyeshadows are long lasting. Best of all the texture is nice and smooth. They're not chalky at all. 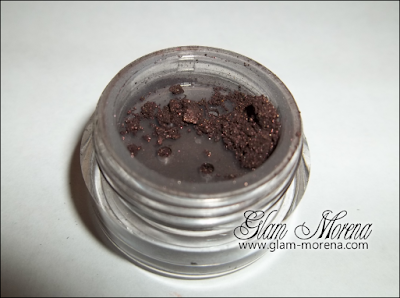 If you're a fan of loose, mineral eyeshadows then I hope you give Sundara Cosmetics a try! Swatches of the Sundara Cosmetics eyeshadows! What's your favorite shade out of the eight mentioned? LIKE SUNDARA COSMETICS ON FACEBOOK! Great review! I like Saffron & Lotus. OMG! 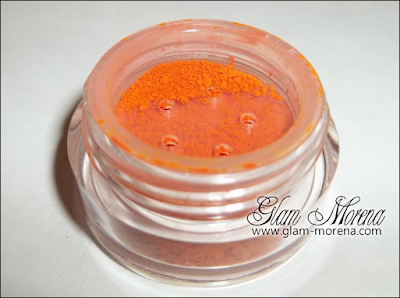 These are SUPER pigmented! I totally want Lotus, Raja, Bindi, & Saffron. Plus they seem super affordable. Thanks for this post! Thats red looks amazing! Im going to go but that and the blue one! 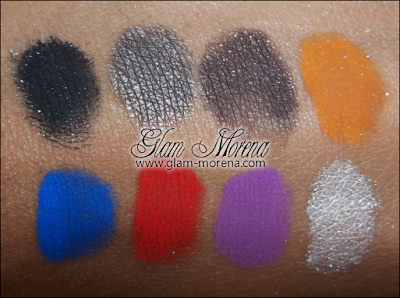 seriously its the most pigmented shadows i have ever seen! the mustar yellow is soo pretty! You find the best stuff, seriously. I'm still craving the Echo Beach blush you reviewed and now I really want to look into this brand/these pigments. So inexpensive as well. Saffron is gorgeous! I ordered a similar color online from an Indie company, I cannot wait to try it!! Thanks for the review and swatches.